Want to build your own gingerbread house? Check out this template? 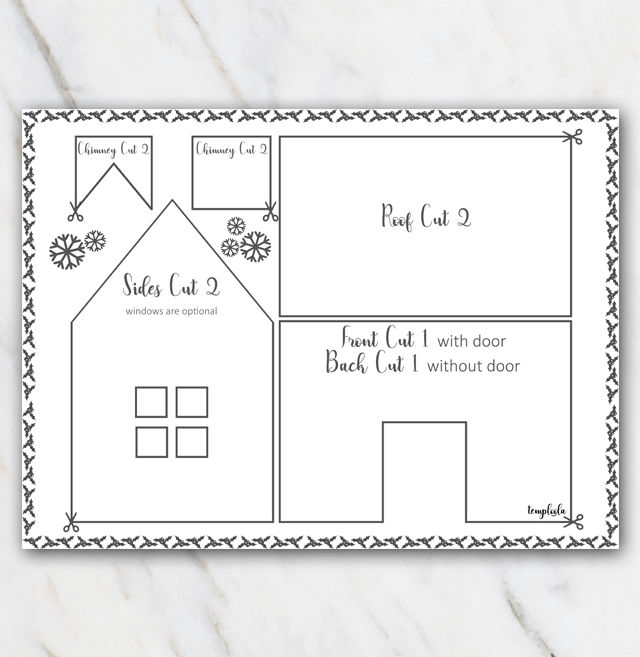 You can also find the same gingerbread house template in color, but when printing at home, you might as well save your color ink cartridge. Also looking for the recipe and some 'building instructions' for a gingerbread house? Check out this page.